By now you’ve heard about the mosquito-borne Zika. The virus was first identified in 1947 in Uganda, and has been dominating recent headlines with a 2015 outbreak in Brazil that has spread to other parts of North and South America. Zika is similar to other illnesses transmitted by mosquitoes, like West Nile virus and dengue fever. According to the CDC, the Zika virus spreads in two ways: a mosquito bites an infected person and then that mosquito bites someone else, or, the virus is sexually transmitted from an infected partner to another person. The symptoms of the virus are generally mild, and include muscle and joint pain, headache, skin rashes, fever, and red eyes; the infected person typically recovers within 2-7 days. Most people infected with Zika virus will not experience symptoms at all. But for pregnant women, Zika virus poses devastating risks to their unborn babies. And just last month, the first cases of transmission in the Continental US were reported in the Wynwood area of Miami, Florida, prompting the CDC to issue a travel warning for pregnant women. 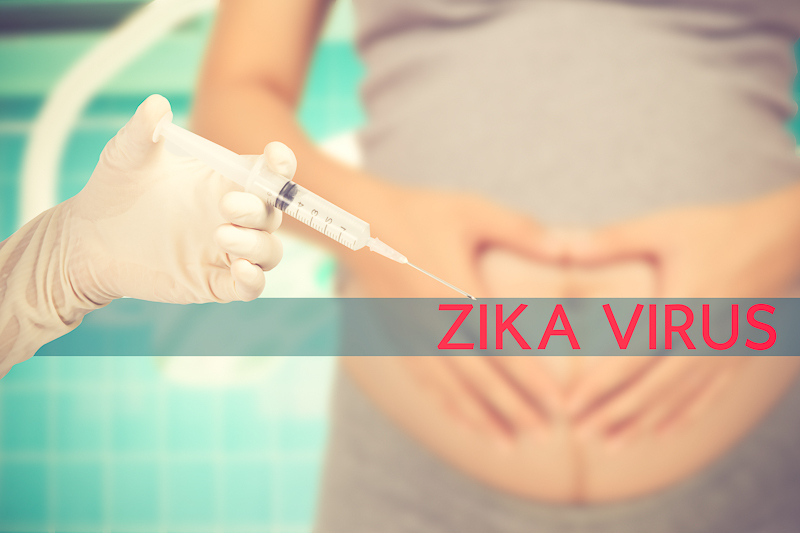 The effects of Zika virus on pregnant women include pregnancy loss, or a baby born with microcephaly. Microcephaly is a condition characterized by a baby with an abnormally small head and brain, causing seizures, mental retardation, developmental delays, and in some cases, death. There is some good news. According to the CDC, there seems to be less of a chance that the Zika virus becomes an endemic because its only hosts are mosquitos and humans. In a virus like West Nile, which is contracted and transmitted by horses and birds, there’s a much wider variety of hosts. But this doesn’t mean you shouldn’t take extra precautions. For pregnant women living in these areas you should do all of the above. Additionally you will be tested by your OB or midwife at the first prenatal visit and again in the second trimester. If you experience any of the Zika symptoms, let your provider know, as they will test you again. While there’s no reason to live in fear of Zika or to avoid pregnancy, make sure you are taking the necessary steps to protect yourself and your partner. For more information on Zika virus, including prevention, travel guidelines, and up-to-date news, visit the Centers for Disease Control and Prevention.